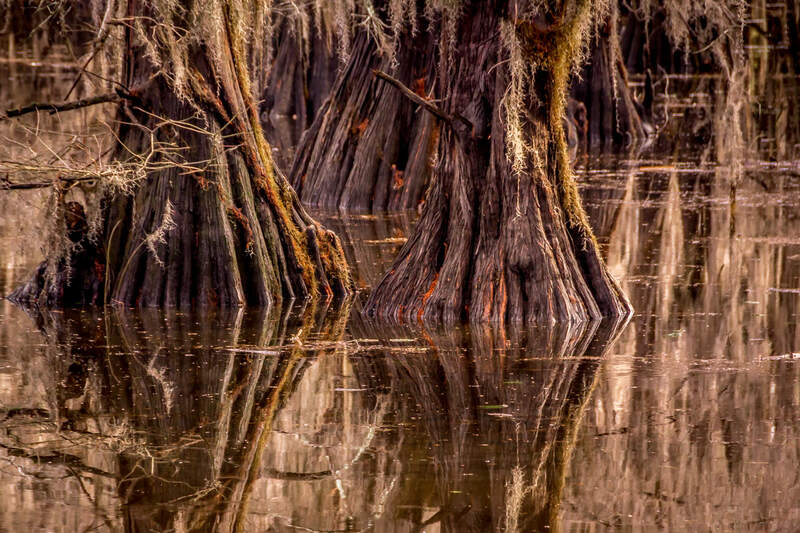 Ethereal, moss-covered cypress trees encroach upon East Texas’ Caddo Lake. 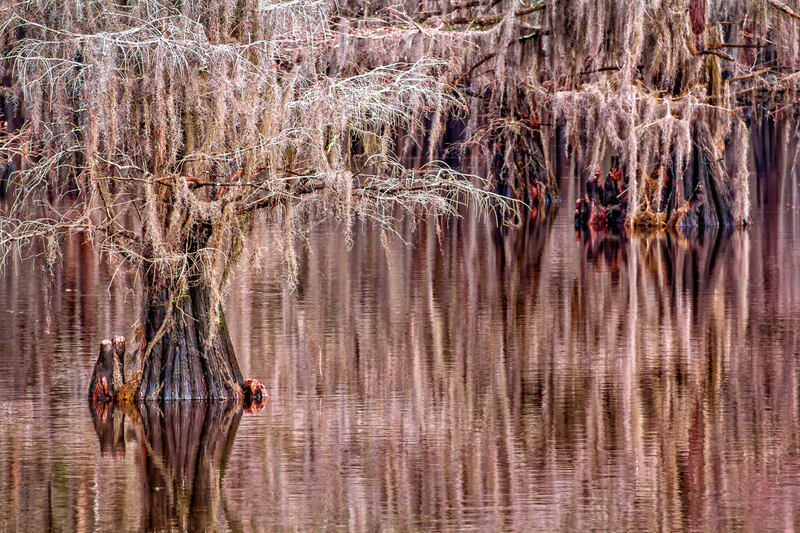 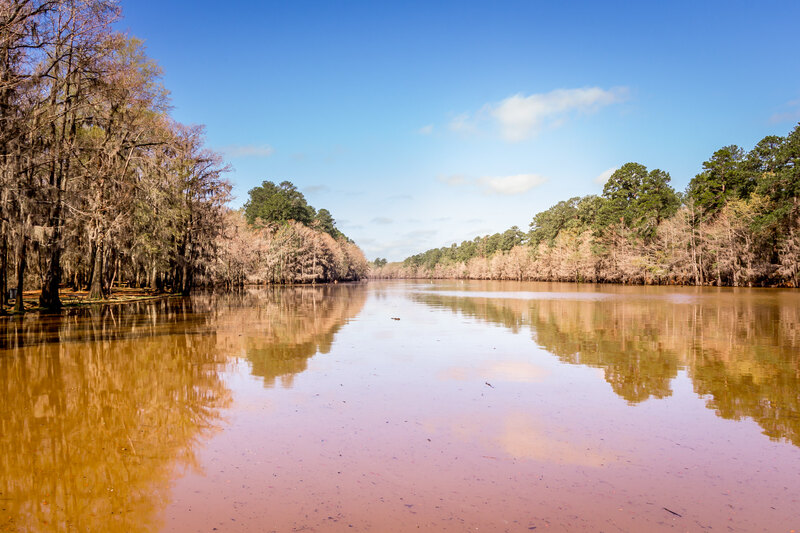 Ethereal cypress trees rise from the water at East Texas’ Caddo Lake State Park. 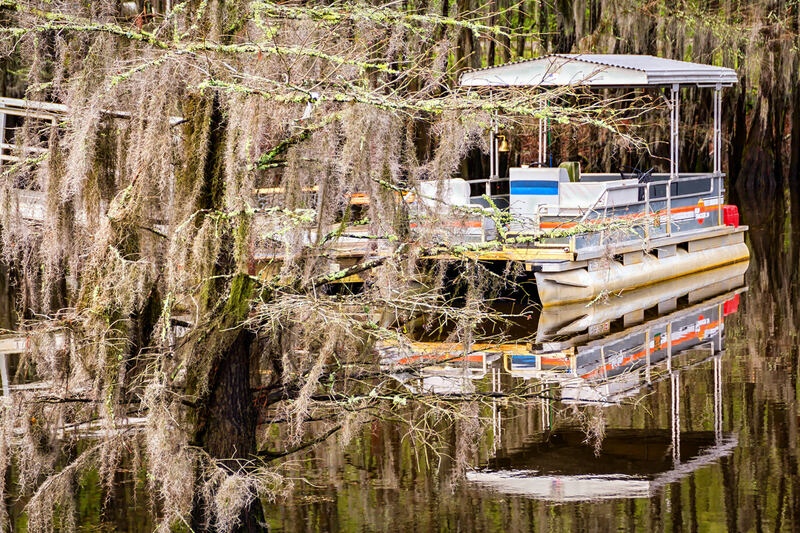 A pontoon boat floats amongst the Spanish moss-covered cypress trees of Texas’ Caddo Lake. 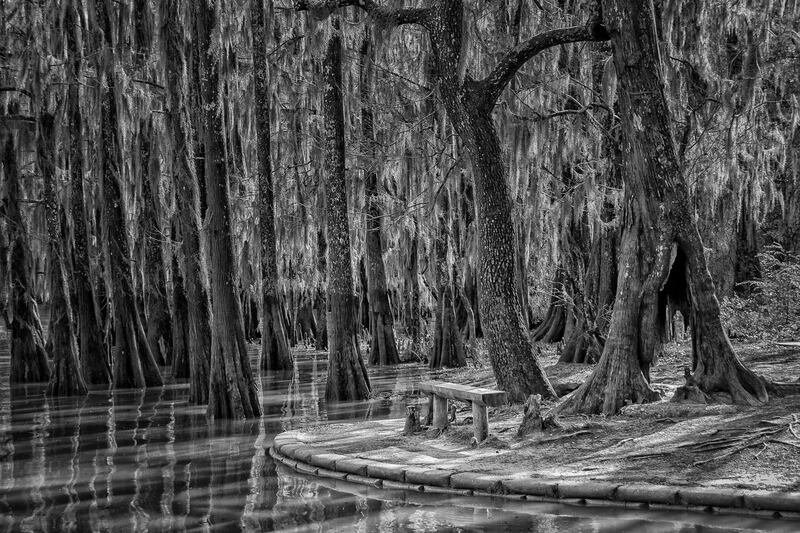 Cypress trees rise around a bench at Caddo Lake State Park, Texas. 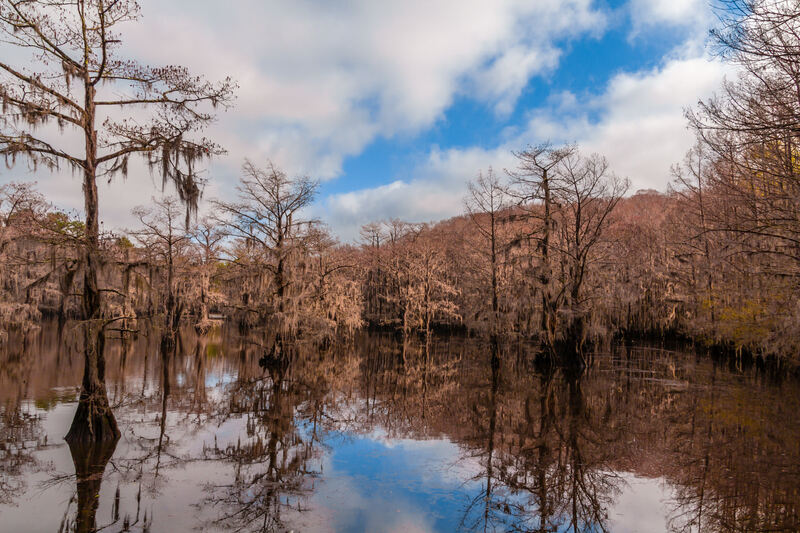 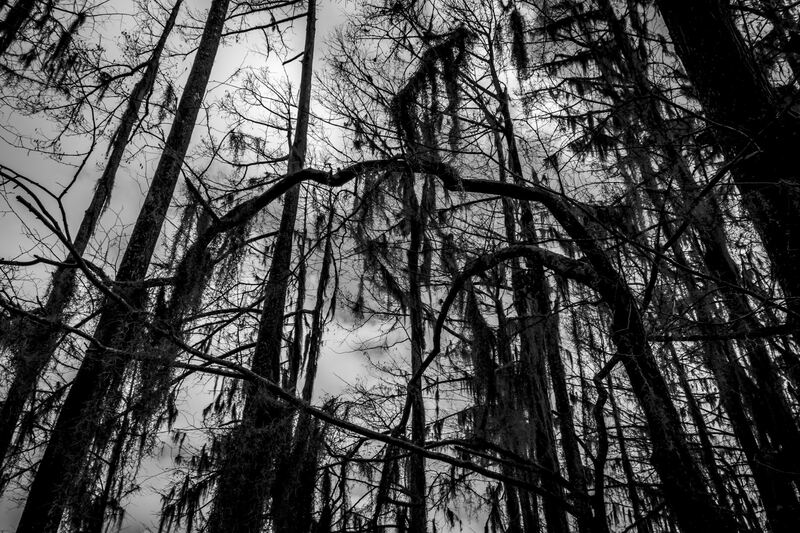 Spanish moss-encrusted cypress trees rise from Texas’ Caddo Lake at Caddo Lake State Park. 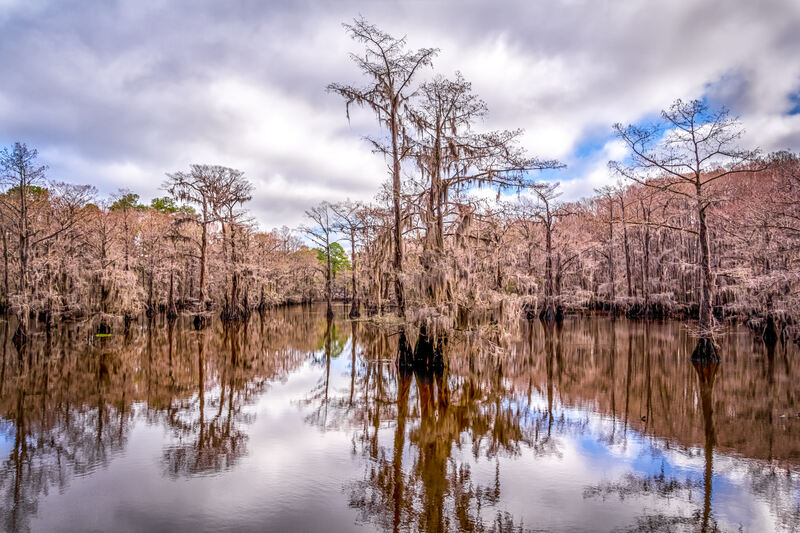 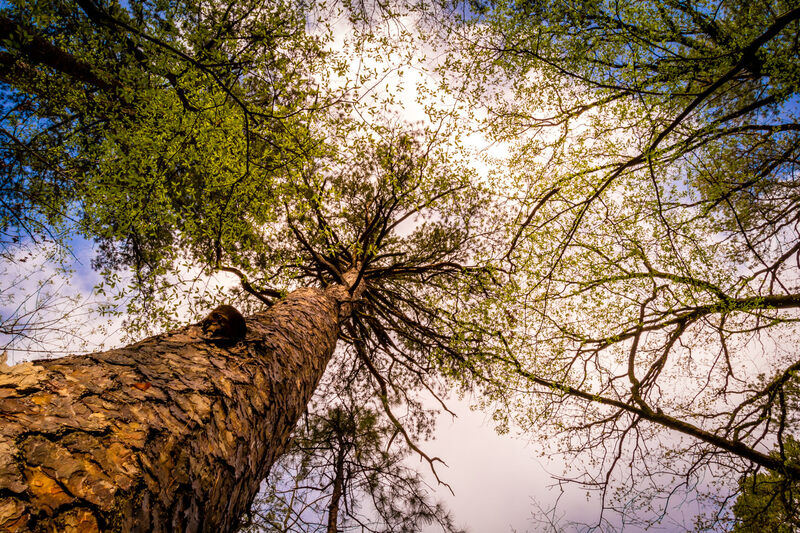 Trees rise into the sky at Caddo Lake State Park, Texas. 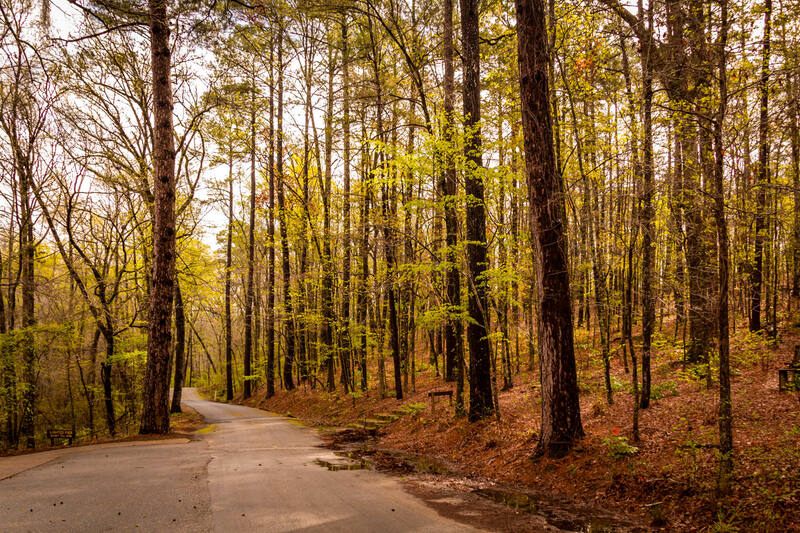 A road among the trees at Caddo Lake State Park, Texas.